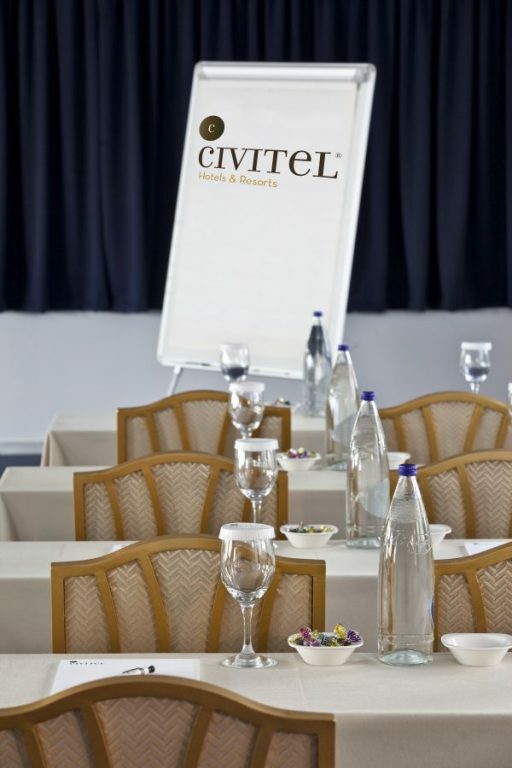 Civitel Hotels & Resorts represent a collection of four individually-designed, distinctive four-star hotels – two in Athens and two on the island of Crete – that offer not only superb opportunities for tourism and adventure but also their conference and business facilities bring the best of both worlds together. 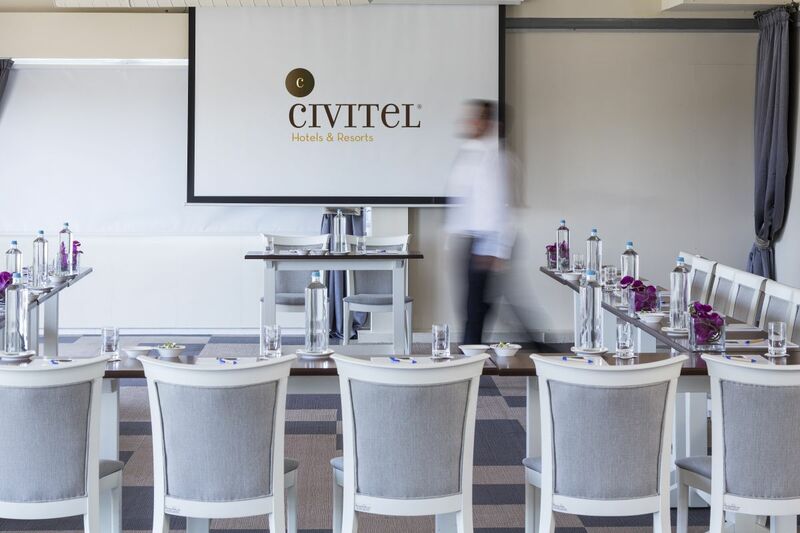 Civitel Hotels & Resorts invites professionals to explore its MICE (Meetings, incentives, conferences and exhibitions) options. With a warm and sophisticated atmosphere, the hotel Civitel Olympic just across the Olympic Stadium is proud of its attractive, understated design and ambiance that echoes Greece’s Olympic glory. 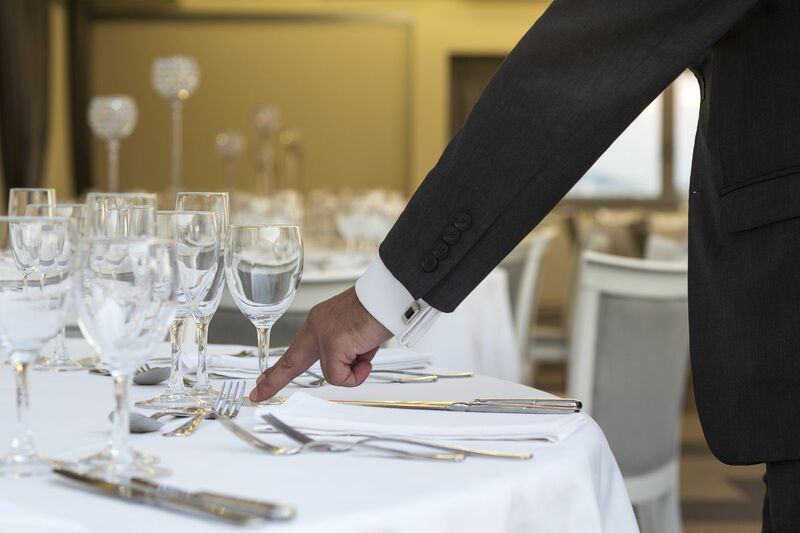 You can create your very own event or conference at the property easily and quickly, supported by the flexibility and customized options provided by our staff. 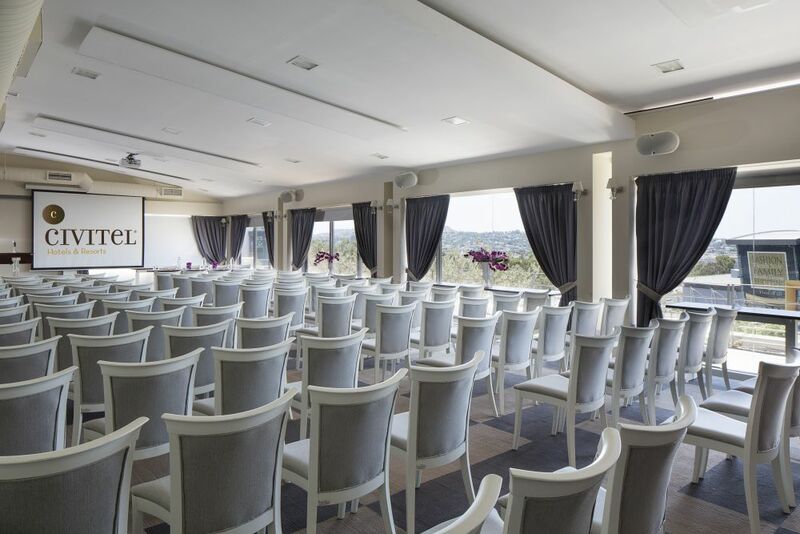 The impressive multipurpose room at the rooftop area on the 5th floor of Civitel Olympic represents an excellent venue for prestigious events with a stunning view of Northern Athens. It is the largest conference space in the property, spread over 300 m2 and capable of holding up to 250 people in cocktail or reception style. For small and medium-sized events, the hotel offers a 70 m2 conference hall with high-tech facilities that can be configured in different ways. This space is perfect for private, closed-door meetings in a quiet locale. It is popular for corporate seminars, class-room style events and sports-team meetings, fitting up to 70 people in certain layouts. Akali Hotel, Ariadni conference room. Located in Chania, one of the most beautiful towns in Greece, the Civitel Akali is in essence a comfortable, charming hotel with a friendly family atmosphere. 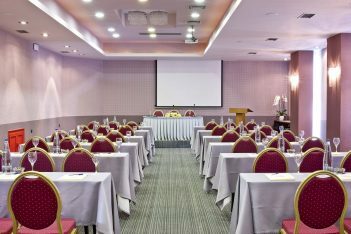 While the hotel is the perfect place for a vacation, it is well suited to meet your business needs with superior conference facilities. 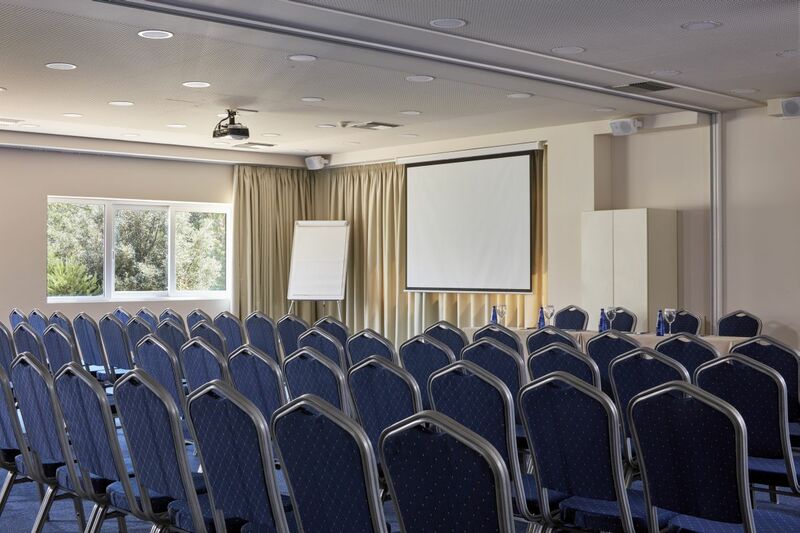 Its adjustable conference spaces can accommodate anywhere from 10 to 250 people. 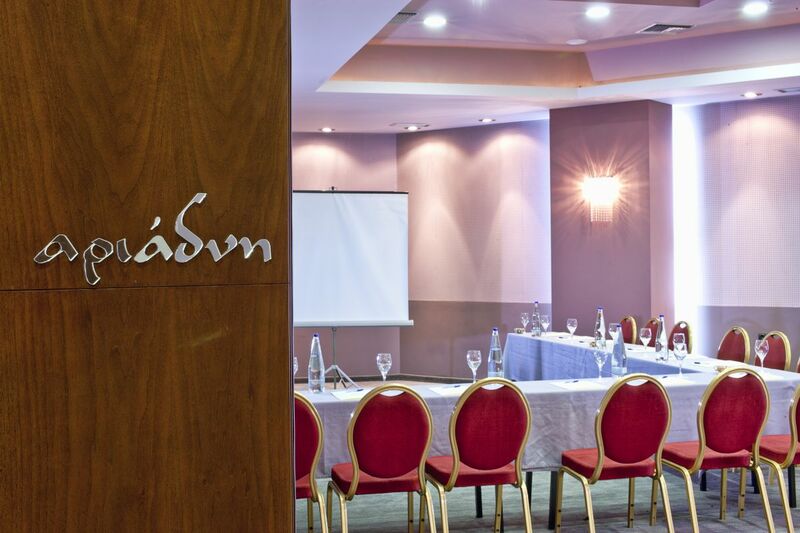 This is one of the best conference centers in Chania, with three advanced conference rooms that were just renovated recently, featuring modern décor, the latest audiovisual equipment and high-tech telecommunications facilities. The largest meeting room can accommodate up to 150 people in cocktail style and about 90 people in banquet style, while the others can accommodate anywhere between 30 and 140 people, For an even larger space, two of the three rooms can connect to accommodate up to 200 or 250 people. 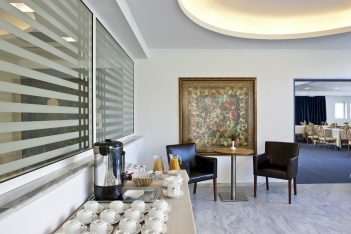 Lying in the upscale, attractively green suburb of Maroussi, the Civitel Attik and Civitel Esprit blend harmoniously and discretely with their surroundings, representing an oasis of tranquility in the heart of Northern Athens. The hotels’ pleasant surroundings, from the pool and garden to the large terrace and classy location, can host successful events and meetings, whilst the spacious restaurant area, spread over 280 meters square, can host up to 250 people for a spectacular cocktail. The main conference hall can accommodate up to 180 people. 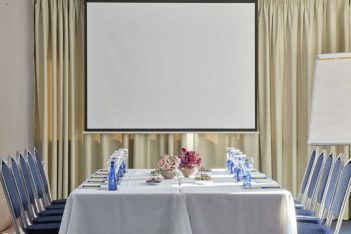 For small and medium-sized events, the property offers two 75 m2 meeting rooms with high-tech facilities that can be configured in different ways or connect in order to accommodate larger groups. Last but not least. the superb veranda can also host anywhere between 25 and 100 people, adding to the choice of options that help ensure a spectacular event. 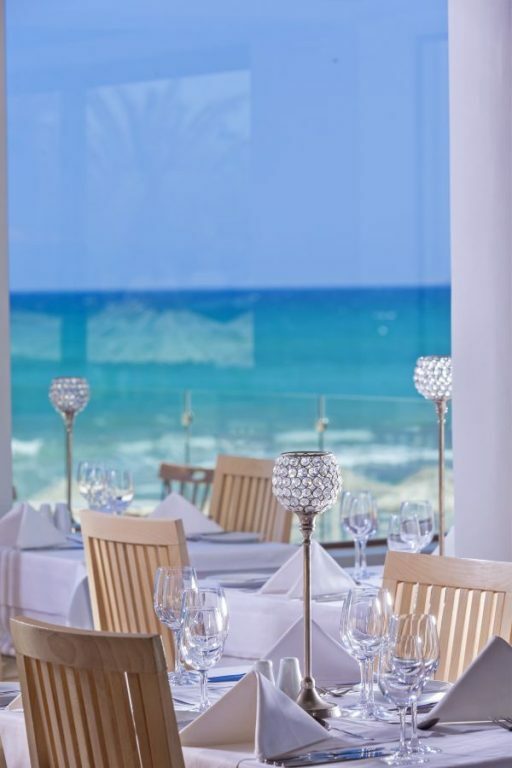 If you would like to organize a special event on a venue situated on a quiet sandy beach outside Heraklion yet close enough to the city center known for its historical sites and shopping, the Civitel Creta Beach on the golden shores of Ammoudara is an outstanding choice that combines all these elements. 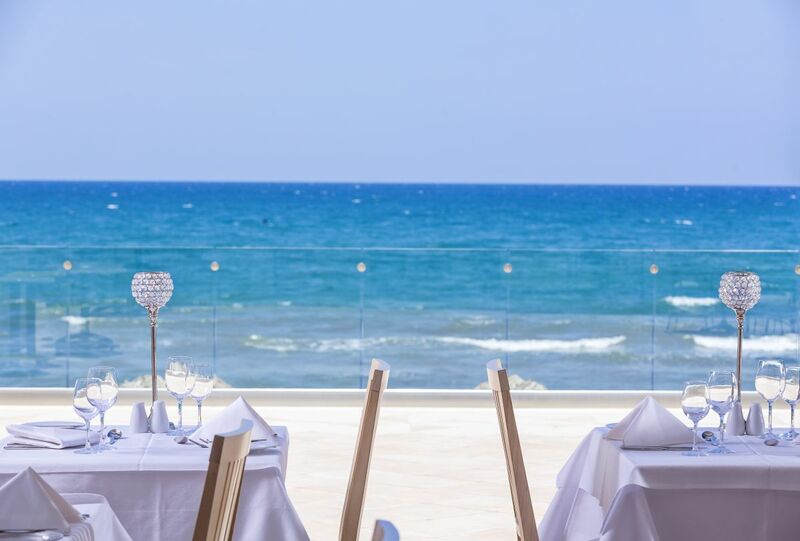 From wedding or baptism receptions to memorable parties Civitel Creta Beach is the perfect choice. The renovated hotel is unique in its multiple private bungalows and tastefully refurbished hotel rooms set in natural landscaped gardens among more than 200 palm trees, in walking distance from the beach.